Just days after axing one service, Google have now launched another. Last week saw the unpopular and unceremonious end of Google Reader, and this week has seen the birth of a Google’s new Evernote-like service, called Google Keep. Available as both a web and Android app, Google Keep aims to provide an alternative note-taking service to the one already provided by apps such as Evernote. Keep lets you save photos, jot down notes, create checklists and load them all on to Google Drive. With Google Keep, you can create notes, checklists, photos and voice memos — and all the content syncs across your devices. Google Keep can transcribe your voice memos and the appearance of the notes are fully customizable. You can change the color, size and positioning of notes and then archive them once you no longer need them. The app also has built-in search, so you can quickly find what you need. The web version of Google Keep can be found here, while the Android app can be downloaded for smartphones and tablets running Android 4.0 (Ice Cream Sandwich) or higher. It’s unclear at this stage whether Google will bring a version of Google Keep to iOS. Google Keep is a very similar product to Google Notebook, which was a web-based app for making “personal notes” that launched back in 2006 and was later retired. 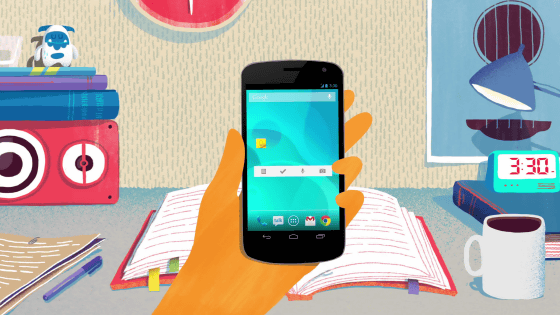 What do you think of Google Keep? Will you switch from Evernote? Let us know in the comments below.